The vast majority of stories are about restoration. Yearning to restore or replace what has been lost is a very human thing, after all. The desire for restoration is a theme that echoes throughout art maybe more than any other. You find the theme all over the place in games, from sophisticated titles aping popular cinema (like The Last Of Us with Joel's attempts to replace his lost daughter with Ellie) to games that aren't particularly focused on narrative, such as Tetris, where you're constantly trying to restore the game screen to its blankness by removing the lines of blocks. One particular type of game trope involves having a protagonist restore a fallen world. In Dark Souls, your goal is to literally light up a kingdom in the darkness of a fallen age. In Breath Of The Wild, Link goes on a quest to take on Ganon so that Hyrule can begin to heal after a century of strife and ruin. Gris falls into this category of games as well, focusing on a young woman's journey to restore a broken world, but is remarkably unique and affecting in its presentation. Most games have characters at least partially designed for you to project your emotions on. Dishonored's Hiram Burrows is just as much that one backstabbing "friend" you had in high school as he is the traitor responsible for protagonist Corvo's imprisonment and the Empress' death. On the flip side, Mass Effect's Garrus is so cleverly engineered (with his awkward attempts at expressing admiration and moments dedicated to bonding) to conjure up associations with players' real-life friendships. The best characters often remind us of moments in our lives in addition to navigating us through the plot and trying to manipulate our emotions into feeling however the game wants us to feel. Gris is different because while yes, there is a character (the eponymous Gris), she doesn't really have dialog or relationships with other people. Instead, Gris the game is explicitly and wholly about Gris The Person, who's navigating a once colorful world reduced to black and white ruins by some foul, dark beast. The same beast also robbed her of her magnificent singing voice. By solving puzzles and aligning constellations, Gris slowly but surely returns color to her world. The beautiful setup for an allegorical tale about dealing with trauma and depression has an equally brilliant execution. With every trial of puzzles completed, a new color returns to Gris' universe, painting in the blank canvas of a landscape you initially start with. Flowers bloom across the land and in cracked temples as red returns. Blue brings flowing streams. And with each part of nature restored, so emerges an important game mechanic. Flowers let Gris leap high in the air while newly formed pits of water let you traverse canals once inaccessible, leading to new avenues of exploration. Gris' emotional transcendence in turn transforms the world around her. Everything flows into one another seamlessly. The pacing is particularly well done, with Gris slowly gaining abilities as she returns the world to its original state. Within the context of Gris' journey, the traditional setup of gaining powers as you progress through a game becomes a novel experience that really makes you feel her recovery: you limp before you walk, you walk before you run. 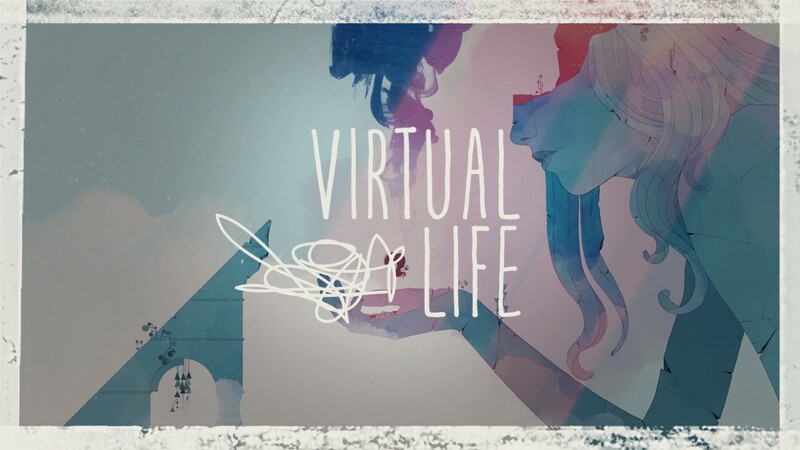 Playing Gris is like working together alongside her to paint a beautiful portrait of suffering and learning to live beyond that suffering by finding the power within yourself to trudge ahead. It's not an easy journey. At one point, Gris is overwhelmed by the dark beast (quite obviously a stand-in for depression and grief) and falls into a pit of despair. However, it's at this moment that she silently comes to understand the value of her journey, the sheer will it took to make it this far, and in that instance she rises, singing the beast into retreat with her restored voice of radiance. This whole story happens wordlessly. There is no dialog, no tedious bits of lore to scrounge up, only a powerful story told through fluid animation and clever puzzle mechanics. The camera pans in and out at just the right times to reveal the majesty of the world Gris is making as well as more personal moments of triumph and introspection. Despair and grief are hard things to give words to because of just how overwhelming they are. You can describe the particulars of what you've lost (a pet, a parent, a lover, a job, a house, whatever) to someone but you'll never be able to convey the true and dizzying shock or longing of the loss because language fails at a certain point. However, the failure of language is why Gris works so well. Instead of Gris delivering long monologues about what has been done to her, we float through the air next to her like some concerned phantom as she lives through her grief and comes out on top in an epic feat of endurance and spirit. Gris is a fantastic experience about the cost and rejuvenating necessity of hard-won hope in dark times, and I can think of few games I've played in the past decade that are as graceful and inspiring at the same time. 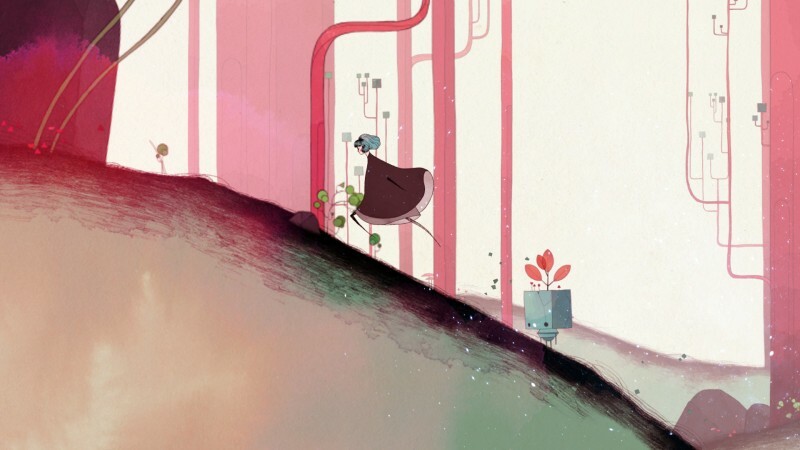 For more on Gris, check out our review here.